6 Eco-Friendly Ways You Can Decorate for the Holidays! Are You in the Holiday Spirit Yet? Go Green This Year! The holidays are a beautiful reminder of the joys of family and friends, and of course all of the celebration that goes with it! Learn how to decorate your home for the holidays in an eco-friendly way that will spice up your Christmas cheer without spiking your electricity bill! The holiday spirit will infect you with joy and gladness, especially after you follow these suggestions and improve your eco-consciousness! Here are 6 eco-friendly ways to decorate your home for the holidays! Decorating your home with LED Christmas lights instead of regular light bulbs will change your entire winter aesthetic for the better! The LED lightbulbs give off a warmer glow and lasts longer than other types. These eco-friendly lights, when strung across your home, will give it both a sparkly, holiday-appropriate look and will also tell your neighbors (those who can recognize different types of lightbulbs that is) that you are an environmentally conscious and all around good person. Home Depot has many good options, as does Target. If you don’t live in a snowy region and crave a white Christmas, resist the siren call of the spray on snow that can be even harder to resist than the red Starbucks cups. 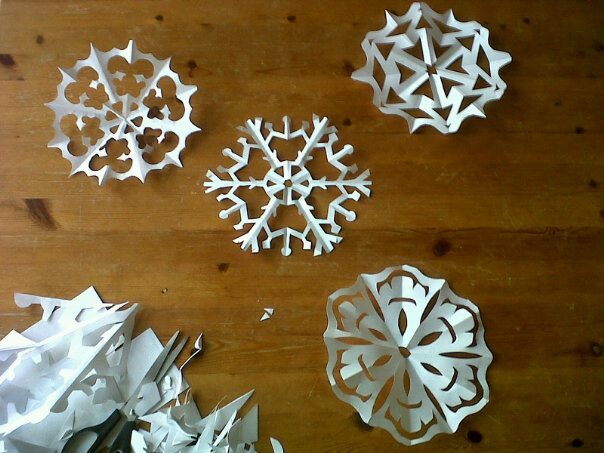 Through the simple act of folding and cutting white paper, you and your family learn that it would be difficult to be a snow elf, while creating fun decorations for your home at almost no cost! Regular paraffin candles are made from petroleum oil, which produces carbon dioxide when burned in excess. By using soy or beeswax candles, you reduce your personal carbon footprint. It will also create a cozy atmosphere in your home, especially since the sky gets dark so early at this time of year! 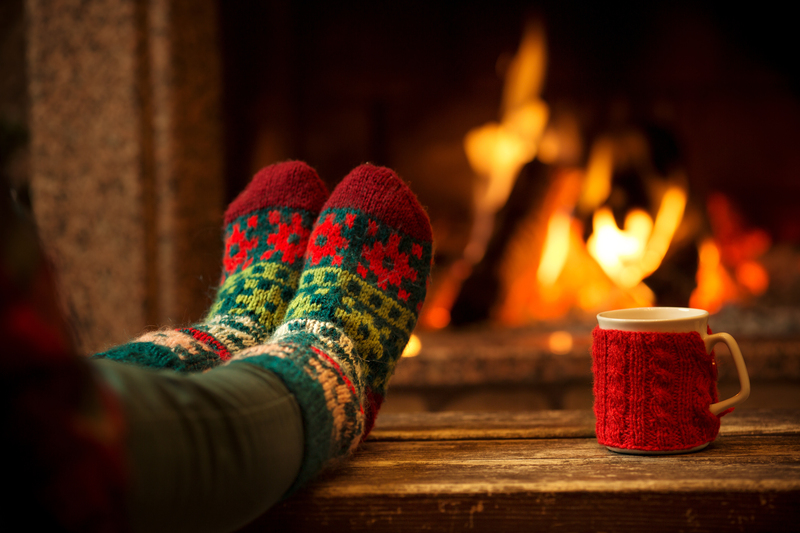 I know Santa Claus may have a harder time coming down the chimney if there are fresh ashes lying around on the hearth, but the heat from the fire will warm your home and save on your heating bill. Instead of buying a plastic, artificial wreath or spending money on an expensive store one, why not pluck some willing boughs from your trees outside and weave them into a fancy homemade wreath? It will smell fresh and look beautiful, and increase your appreciation for trees in general! Why limit yourself to decorating only the outside of your house with LED lights? String some white lights along the bannisters of stairs, or wind colored ones around your Christmas tree, and rest assured knowing that when Santa arrives to put presents under the tree, he will approve of your eco-friendly lighting habits! There are many ways to be sustainable and environmentally friendly over the holidays. We hope these six ways have helped spark your desire to live a more eco-conscious life, particularly during the holidays, when it is so easy to get swept up in the consumerism of the holidays. Lighten the stress of the season by knowing that even if people do not RSVP exactly three days before your Christmas party, at least your house will twinkle in its own merry LED way!